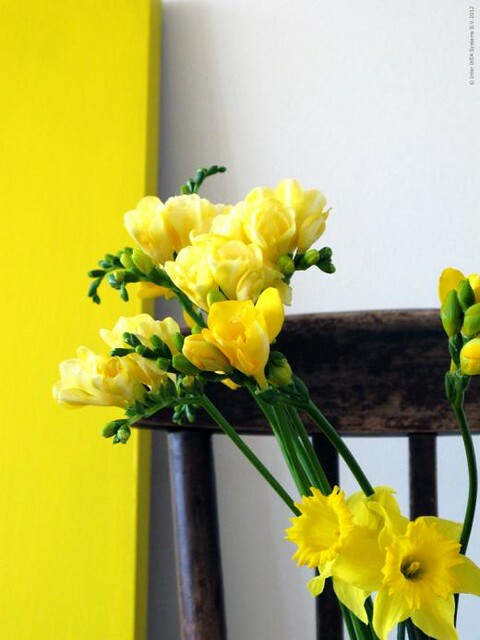 Yellow is sunshine, brightens up, gives promises, suggests freshness and can be even perky. It's a wonderful color, a mental process stimulator and encourages communication as well. 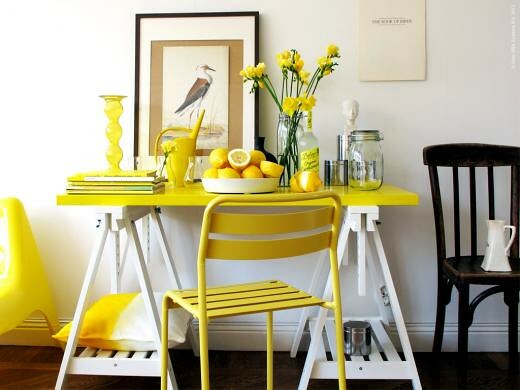 By using yellow elements, you can bring happiness and optimism to your home. 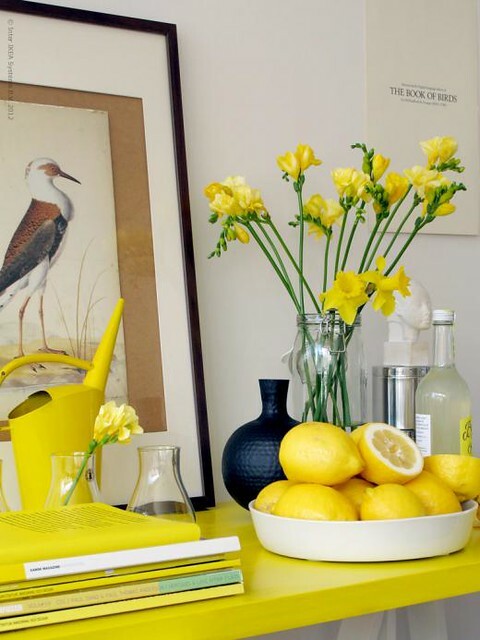 This color certainly will increase the brightness of any room. 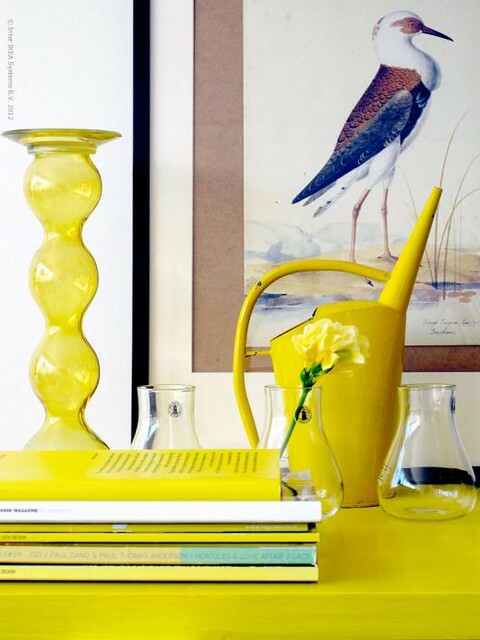 Take a look at these inspirational shots from Ikea.